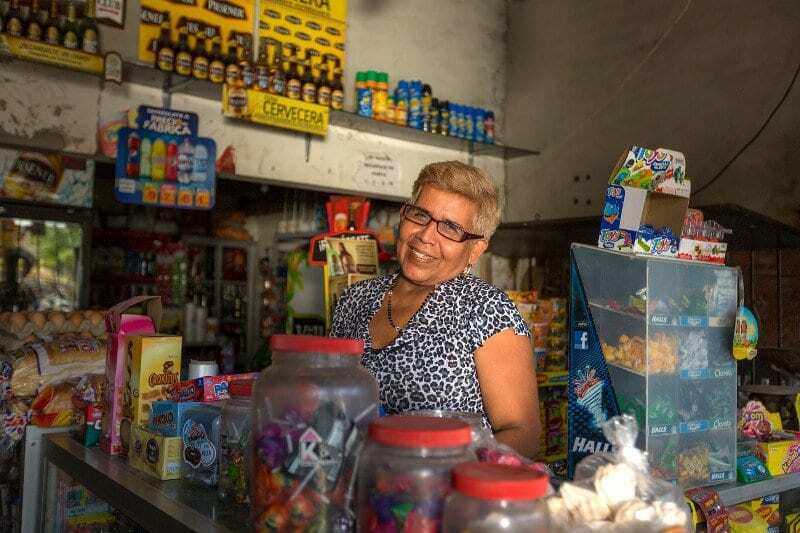 FINCA's network of 20 community-based microfinance institutions and banks use fintech to expand financial inclusion, offering innovative, responsible and impactful financial services to low-income clients. FINCA Impact Finance stands at the vanguard of the revolution in financial services, using fintech innovation to expand financial inclusion in some of the world's most challenging markets. Info is updated on a quarterly basis. FINCA Afghanistan launched in 2003 to help the country recover from war and political instability. The institution disbursed its first loans in Herat Province through the group lending model. In 2007, FINCA Afghanistan opened its first branch in Kabul. It disbursed its first individual loans in 2011 and now offers a range of individual loan products while continuing to serve credit groups. FINCA Afghanistan now serves more than 25,000 clients through a network of 21 branches and growing digital channels. It has a gross loan portfolio of nearly $16 million, making it the second-largest microfinance institution (MFI) in the country. The institution offers a range of responsible financial services including small- and medium-enterprise (SME) loans, agriculture loans and Sharia-compliant loans, including the Women Murabah Group loan, which finances business activity by women. FINCA Afghanistan was the first MFI in the country to offer Sharia-compliant loan products. 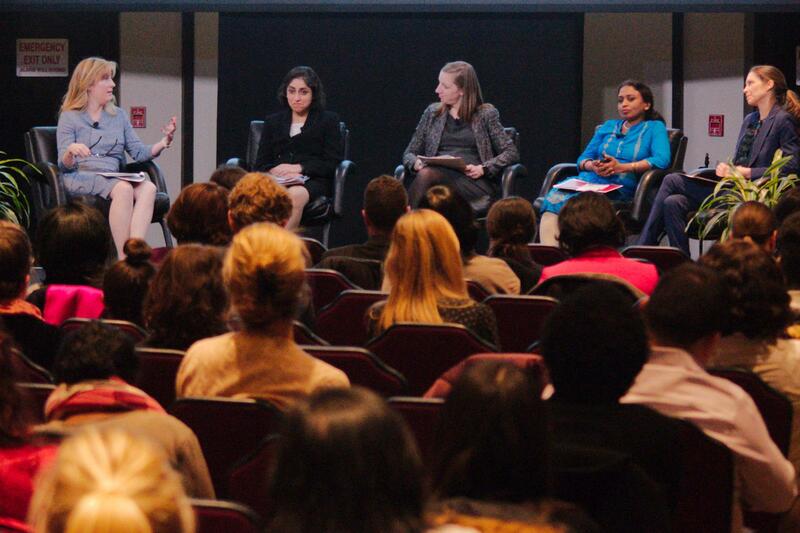 Female clients make up nearly 60% of the client base in a country where only 7% of adult women have a bank account. 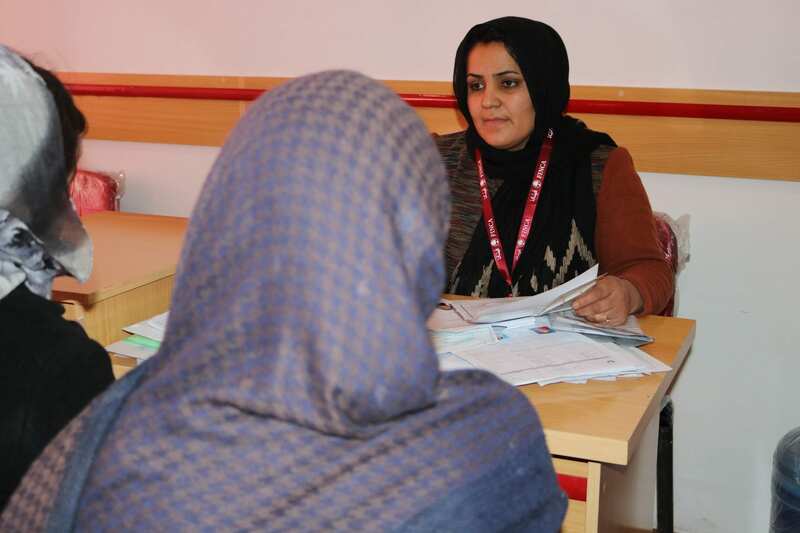 In March 2018, FINCA Afghanistan opened its Women Special Branch where an all-women clientele is served by an all-women staff. The branch has contributed to financial inclusion by reaching out to women on their terms and creating a space for women entrepreneurs to share experiences and opportunities. In July 2018, FINCA Afghanistan officially launched digital field automation (DFA), a paperless process that allows clients to open an account or apply for a loan in less than 30 minutes. By equipping customer relationship officers (CROs) with tablets that transmit client data electronically, DFA has led to greater efficiency and speed in serving clients. Throughout its 14 years of operation FINCA Afghanistan has demonstrated a commitment to serving the people most in need of financial inclusion. In addition to credit, clients receive training on how to manage their finances and grow their businesses. Moreover, the institution’s innovative approach has brought greater efficiency and allowed the institution to reach more people in more regions of the country. FINCA Armenia was founded in 1999 as a non-profit organization dedicated to providing financial services to low-income entrepreneurs. 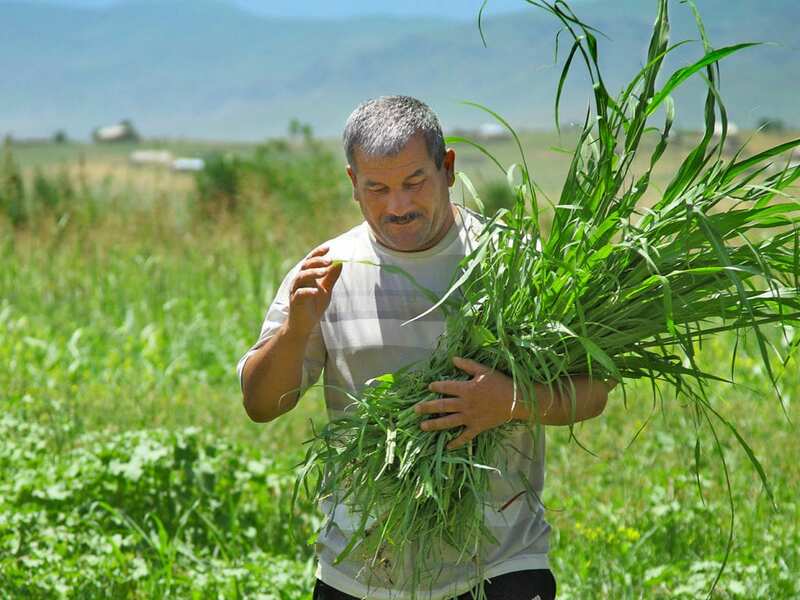 Operating from an office in Yerevan with an efficient team of dedicated employees, FINCA Armenia provided small loans to farmers and small business owners. In the years since, the bank has continued to grow while delivering a double bottom-line of commercial profitability and positive social impact. Adapting to the needs of a growing market, FINCA Armenia has expanded on its initial offering of agriculture and small business loans to provide a range of credit products, including loans for solar energy solutions and car insurance. FINCA Armenia’s loan products are noted for the speed and simplicity of approval as well as transparency and personalized and flexible repayment terms. In 2006, the Central Bank of Armenia registered and licensed the institution as FINCA Universal Credit Organization Armenia, marking its entry into the for-profit financial services market. In 2018, in accordance with FINCA Impact Finance’s digital transformation strategy, FINCA Armenia began taking active steps to digitize its offering of financial products and services. The institution launched an Online Loan Application (OLA) system enabling clients to apply for loans using a smartphone, computer or tablet, all without visiting a branch. FINCA Armenia now serves more than 35,000 clients through both digital and traditional banking channels: a network of 38 branches located throughout the country and through its emerging OLA system. FINCA Armenia has established a leading position in the Armenian market by delivering an unmatched customer experience (CX), integrating digital technologies into its offering while building and maintaining trust-based relationships with clients. Public opinion polls conducted by Gallup International recognized FINCA Armenia as “The Best Credit Organization in Armenia” each year from 2013 to 2016. FINCA Azerbaijan LLC is the leading non-bank microfinance institution in Azerbaijan, operating in the country since 1998 under NBCO license from the Central Bank of Azerbaijan/Financial Markets Supervisory Authority. 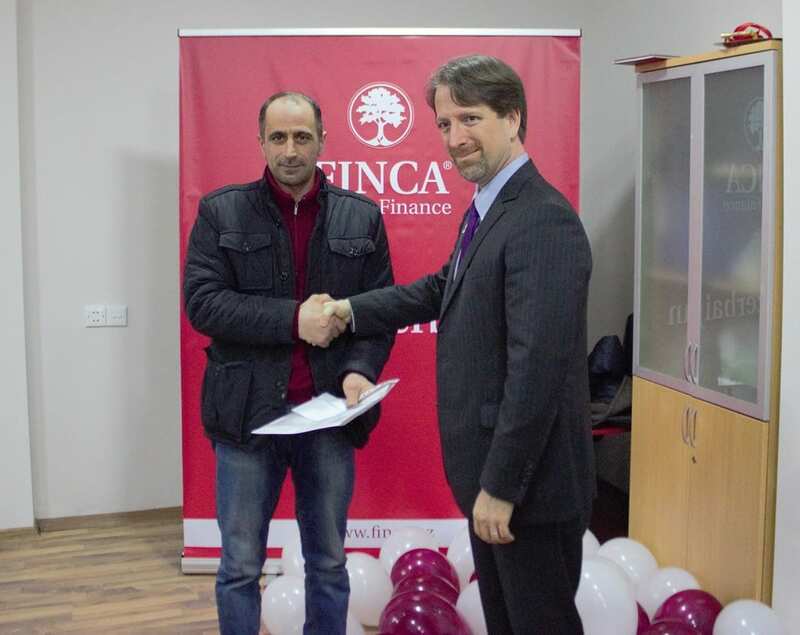 FINCA Azerbaijan provides financial services to small business entrepreneurs through it’s broad network of branches across the country, with a special focus on rural and agricultural loans. FINCA DRC launched in 2003 while the Democratic Republic of the Congo (DRC) was still suffering from an armed conflict. During its early years the microfinance institution provided small loans to support small business development in the country. During the first three years of operation the institution exclusively operated in Kinshasa and provided village banking loans intended primarily to empower women entrepreneurs. FINCA DRC steadily expanded to serve a growing Congolese market. In 2006 it began offering individual loans while expanding its operations to Matadi and Katanga regions. The institution now provides a large range of loan products in addition to savings accounts, debit card services, bill payments and money transfer services. Now a leader in the country’s microfinance sector, FINCA DRC currently serves more than 300,000 clients through a network of 21 branches located in eight regions, more than 1,000 FINCA eXpress banking agents and an expanding mobile banking channel. FINCA eXpress launched in 2011 as a third-party service delivery model that enables clients to access financial services without traveling long distances to the nearest brick-and-mortar branch. In addition to dispensing financial services, FINCA eXpress agents are trained to provide financial literacy training. CLICK, the institution’s mobile banking channel, launched in 2018 to increase access to branchless banking. Clients are able to use CLICK to manage their FINCA DRC accounts, transfer funds to other account holders and make payments. FINCA DRC is noted for its unrivaled capacity to provide impactful financial services from various access points located across the country. The institution is fulfilling the FINCA Impact Finance purpose of profitably and responsibly providing innovative and impactful financial services to enable low-income individuals and communities to invest in their futures. FINCA Ecuador was founded in 1993 as a non-profit organization devoted to providing financial services to low-income entrepreneurs. In its early days the bank focused on supporting rural entrepreneurs, providing group loans through the village banking model. Since then, it has expanded to offer a greater range of services while delivering a double bottom line of profitability and positive social impact. In 2008, the organization became Banco FINCA Ecuador, a full-service bank regulated by the government of Ecuador and authorized to accept deposits. Adapting to the needs of a growing market, FINCA Ecuador now provides individual and group loans as well as savings products and money transfers. The bank currently has a loan portfolio of more than USD 64 million and holds total deposits of roughly USD 45 million. Banco FINCA Ecuador new serves more than 47,000 clients through 12 branches, a network of banking agents located throughout the country and expanding digital channels. The bank uses its diverse delivery channels to expand financial inclusion to those sections of society that need it most. More than two-thirds of Banco FINCA Ecuador clients live in rural areas, and roughly 60 percent of borrowers are women. While the bank has evolved over the years, it has continued to serve rural families and communities through group loans, which currently make up more than half the bank’s total loan portfolio. 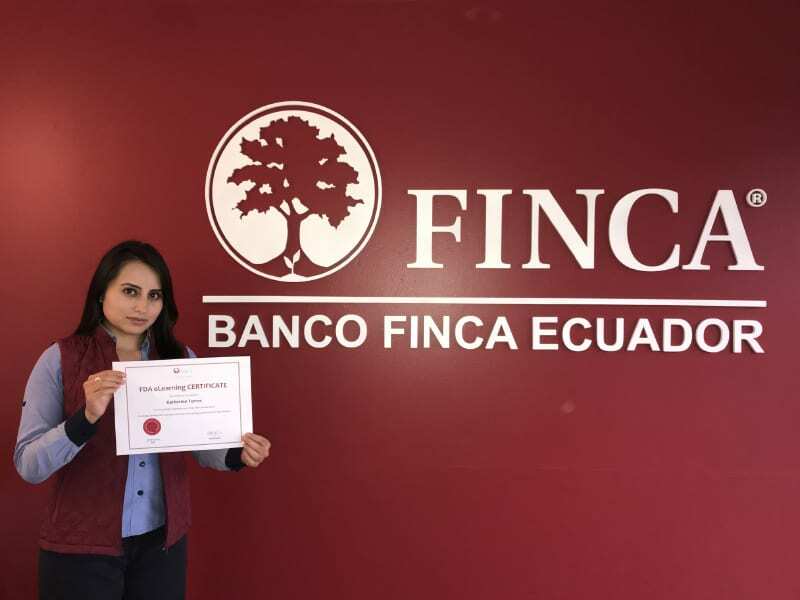 In April 2018, Banco FINCA Ecuador became the first bank in the country to receive SMART certification, a recognition of its long-standing commitment to robust client protection principles. FINCA Georgia began operating in 1998 as a microfinance institution offering financial services to small- and medium-sized business owners. Operating under the slogan “Small Loans Big Changes,” FINCA Georgia opened its first branch in Tbilisi, serving primarily women clients and their families with group loans. In 2015, FINCA Georgia became FINCA Bank Georgia, a full-service commercial bank. One of 20 banks and microfinance institutions making up FINCA Impact Finance’s global network, it now serves more than 100,000 clients through a network of 36 branches located in all regions of the country; a 24/7 call center; and expanding mobile banking and online banking channels. FINCA Bank Georgia has been able to evolve to improve efficiency and better serve its customers due to its commitment to continuous innovation. The bank partners with third-party service providers to improve its offering of financial products and services. It also performs cutting-edge internal research to better understand and meet the needs of its clients. These features have helped the bank maintain a leading position in the Georgian financial sector. FINCA Bank Georgia delivers a positive social impact by bringing financial inclusion to those who need it most. Seventy-nine percent of the bank’s clients live in rural areas where access to responsible and convenient financial services is restricted by logistical factors. 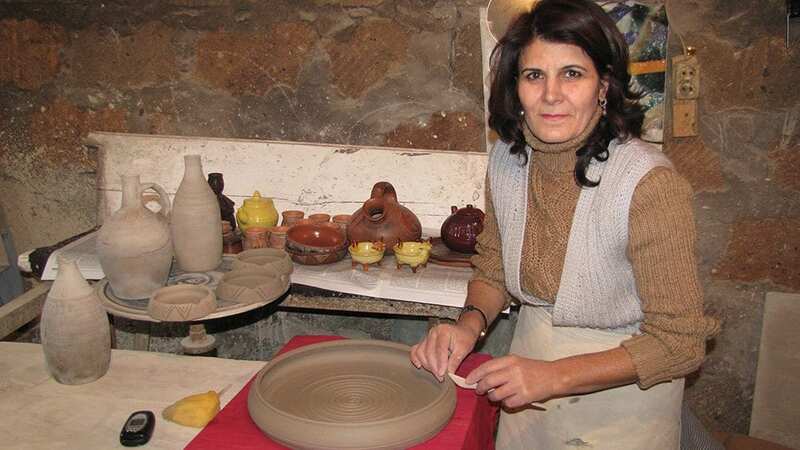 Over 80,000 people earn their livelihoods from businesses financed by FINCA Bank Georgia. The bank delivers value to the clients, families and communities it serves by: acting as a local, trusted banking partner in communities throughout Georgia; reaching historically-underserved groups in both urban and rural areas; providing opportunities for entrepreneurs to improve their lives and their communities; and reaching increasing numbers of people through digital channels such as mobile and online banking. As one of the first microfinance institutions in Latin America, FINCA started operations in Guatemala in 1989, introducing Village Banking as a tool to alleviate poverty. Today, throughout its 30-branch national footprint, FINCA Guatemala is leveraging new technologies to improve its services and make an even greater impact on Guatemalans. FINCA Guatemala operates 12 branches in urban and rural areas throughout the country, offering Village Banking, individual and local currency loans, micro-insurance and money transfers services. FINCA Haiti S.A. reaches more than 45,000 customers and is one of FINCA’s longest-running operations. In 2017, FINCA began issuing loans via mobile, the first microfinance institution to do this in the country. Traditional bricks-and-mortar branch banking, which FINCA has offered in Haiti for years, has long presented major physical and logistical limits to lending to Haitians, who mostly live in geographically dispersed, rural communities. In partnership with Digicel, the largest mobile network operator in Haiti, FINCA can now enable a fast-growing number of Haitians to borrow up to the equivalent of a few hundred dollars using rapid, fully digital transfers through their mobile phone accounts. Founded in 1989, Financiera FINCA Honduras is a non-banking financial institution licensed to accept savings deposits. It serves both rural and urban areas of the country through 21 branches. FINCA Honduras offers Village Banking, local currency loans, individual, small group, and agricultural loans, voluntary savings products for adults and children, as well as money transfers services and insurance. FINCA Microfinance Jordan offers micro-insurance, small group and individual loans as well as local currency loans and agricultural loans, all of which can be accessed through conventional lending or Islamic financing. To address youth unemployment in the country, FINCA Jordan piloted an Islamic financing business startup product which provides young Jordanians with access to working capital. FINCA Kosovo launched in February 2000, less than a year after the end of an armed conflict that cost thousands of lives and displaced more than one million people. With support from USAID, the microfinance institution opened its doors to advance the mission of expanding financial inclusion to help individuals, families and communities recover from the war. Adapting to the needs of a growing market, FINCA Kosovo expanded its initial offering of agriculture and small business loans to provide a full range of loan products. The institution now offers women entrepreneur loans, home improvement loans, vehicle registration loans and life improvement loans. It currently serves over 20,000 clients from a network of 27 branches and expanding digital banking channels. In order to increase its reach and better serve its clients, the institution has taken steps to digitize its offering of financial products and services. It launched its Online Loan Application (OLA) system in 2012, an innovation which allows clients to apply for loans using a smartphone, computer or tablet. Clients can also receive support from the organization’s Contact Center. 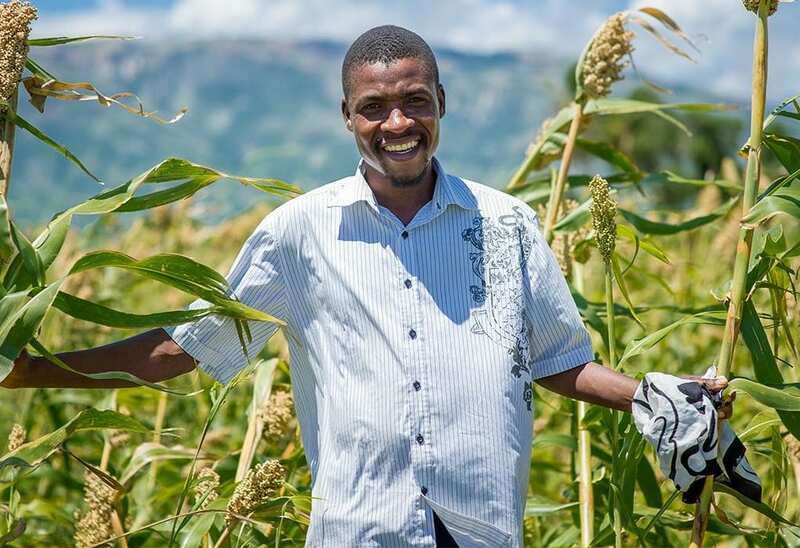 FINCA Kosovo was the first FINCA Impact Finance subsidiary to launch Digital Field Automation (DFA), which utilizes cloud-based tablet software to quickly review loan applications and disburse funds. In 2018, the institution launched Centralized Credit Underwriting to enable faster, more accurate and more efficient credit decisioning. In addition to providing responsible financial products and services, the institution promotes financial and commercial literacy. 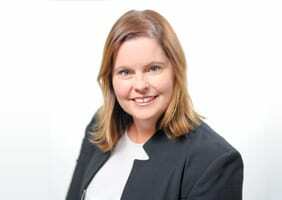 It operates a wide-ranging training program aimed at ensuring clients and the wider public have the knowledge and skills needed to make informed financial decisions and effectively manage their businesses. In 2016 FINCA Kosovo received Smart Certification for its long-standing and sustained commitment to upholding the Smart Campaign’s seven Client Protection Principles for responsible banking, which include: appropriate product design and delivery; prevention of over-indebtedness; transparency; responsible pricing; fair and respectful treatment of clients; privacy of client data; and mechanisms for complaint resolution. FINCA Kyrgyzstan launched in 1995 as a microfinance institution dedicated to promoting small business development, primarily serving women borrowers through the group lending model. The institution’s first credit group was formed in Chui province. group loans, the vast majority of borrowers now access individual loans. portfolio of roughly USD 95 million and holds total deposits of roughly USD 45 million. financial literacy training activities to ensure that individuals, families and communities throughout the country have the knowledge to make sound financial decisions. FINCA Limited (Malawi) started its operations in 1994 in Chiradzulu district. In 2015 FINCA received a license to take deposits, which allowed it to transform into the first Deposit Taking Microfinance Institution (DTMFI) in Malawi. The organization is now able to offer loans and savings products. Today, with its head office in Blantyre, FINCA Limited now operates 23 branches with 2 outlets countrywide servicing both rural and urban entrepreneurs with financial needs. Financiera FINCA Nicaragua is a financial institution providing innovative financial services to more than 24,000 clients through 19 branches nationwide and with a loan portfolio of more than US $43 million. In 2011, Financiera FINCA Nicaragua became a fully-licensed financial institution providing a range of responsible financial products and services. 300 vrs. al Norte contiguo a SUMEDICO. FINCA Nigeria launched in 2014 with its headquarters in Imo State. From the beginning, the microfinance institution focused on providing loans to support small business development in the country, especially in the agriculture sector. It also launched group and individual loan products and savings accounts during its first year of operation. FINCA Nigeria has steadily evolved to serve the needs of a growing national market. It expanded from its base in Imo State to new operations in Orlu and Mbaise and now has clients throughout Nigeria. The institution currently offers a range of credit and savings products—in addition to credit and savings products, it now provides money transfers and microinsurance. Diverse delivery channels allow FINCA Nigeria to expand financial inclusion to those who need it most. The institution currently serves more than 28,000 clients through a network of five branches and one sales office and through expanding agent banking and mobile banking networks. FINCA Nigeria launched agency banking in 2016 through FINCA eXpress, a third-party service delivery model. FINCA eXpress agents are located where clients live and work, enabling them to access financial services without traveling long distances to the nearest branch. In addition to dispensing financial services, FINCA eXpress agents are trained to provide financial literacy training. In 2019 the institution is implementing a mobile banking solution to reach more people with responsible finance. The solution is being developed for both USSD and app-based mobile users. FINCA Nigeria is noted for its unrivaled capacity to provide impactful financial services from access points throughout Nigeria. The institution is fulfilling the FINCA Impact Finance purpose of profitably and responsibly providing innovative and impactful financial services to enable low-income individuals and communities to invest in their futures. FINCA Microfinance Bank Limited first launched in 2008 as “Kashf Microfinance Bank”, providing microfinance services from 13 branches in Pakistan. Founded on the principle that all people should have access to financial services, the bank set about providing microcredit to low-income borrowers with no collateral requirements—providing entrepreneurs with capital to expand their businesses. The bank also provided convenient deposit services, offering competitive interest rates to both individual and corporate depositors. FINCA acquired the organization in 2013, using its wealth of experience and robust business operations to spur growth. Now part of the FINCA Impact Finance global network, FINCA Microfinance Bank Limited is licensed and regulated by the State Bank of Pakistan and has a loan portfolio of more than PKR 19 billion and holds deposits of roughly PKR 21 billion. The bank’s loan portfolio has grown at a rate of 64% over the past five years, with growth driven by a range of products and services, including individual loans for both low income and higher-volume borrowers. Clients are spread across economic sectors such as agriculture, livestock, trade and services. The bank now serves more than 850,000 clients through a network of branches (120 branches in 108 cities) and ATMs (more than 14,000 across the country) as well as through digital banking channels (debit cards, mobile e-wallets and online banking). In 2017, FINCA Microfinance Bank Limited became the first microfinance bank in Pakistan to receive SMART certification, a recognition of its long-standing commitment to robust client protection principles. The company’s loans have created an estimated 150,000 new jobs and helped sustain the living standards of roughly two million households across Pakistan. FINCA MICROFINANCE BANK formed its first Village Bank in Mwanza in 1998, bringing its model of group lending to Tanzania. In the years since, over a million customers have gained access to responsible financial products including credit, savings and money transfers. In January 2013, FINCA Microfinance Bank began offering savings products to the public. This followed a historical event where FINCA became the first MFI to be granted a license by the Bank of Tanzania, allowing the institution to accept deposits from the public and to carry out banking services as a microfinance institution. 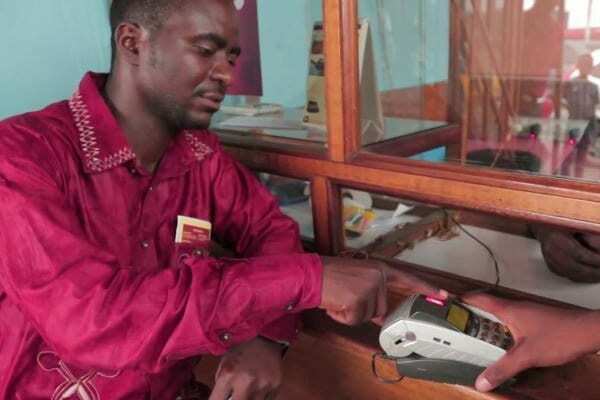 The issuance of a license by the Central Bank was an important step toward financial inclusion in the country as it helped to bring tens of thousands of Tanzanians, mainly from rural areas, into the formal banking sector. Today, the breadth and reach of our responsible financial services continues to grow and evolve to meet new needs and new opportunities. FINCA Microfinance Bank has gone beyond traditional microfinance by leveraging the power of new technology, such as mobile phones and agent banking, to make banking more affordable and accessible. 56% of FINCA’s customers now transact through one of the 140 agents and 23% transact via mobile financial services. FINCA Microfinance Bank is the only bank that offers an opportunity for customer to open a Savings Account within five minutes using special tablets through the Bank’s remarkable innovation known as Digital Field Automation (DFA). As we look towards the future, FINCA Microfinance Bank will continue to improve our services. We are re-engineering and streamlining our credit and customer service processes to lower costs and to make it easier for clients to do business with us. We are fostering a culture of innovation, where all employees are encouraged to lead change. FINCA believes that the future of expanding access to responsible financial services lies in both technological innovations and delivering an exceptional customer experience. FINCA Tajikistan was founded in 2003 as a non-profit organization devoted to expanding financial inclusion to low-income entrepreneurs. Operated by a team of dedicated employees, FINCA Tajikistan first specialized in providing agricultural loans to rural borrowers. Since then, the microfinance institution has continued to develop innovative financial products and services while delivering a double bottom line of profitability and positive social impact. The institution now serves Dushanbe as well as the northern and southern regions of the country. 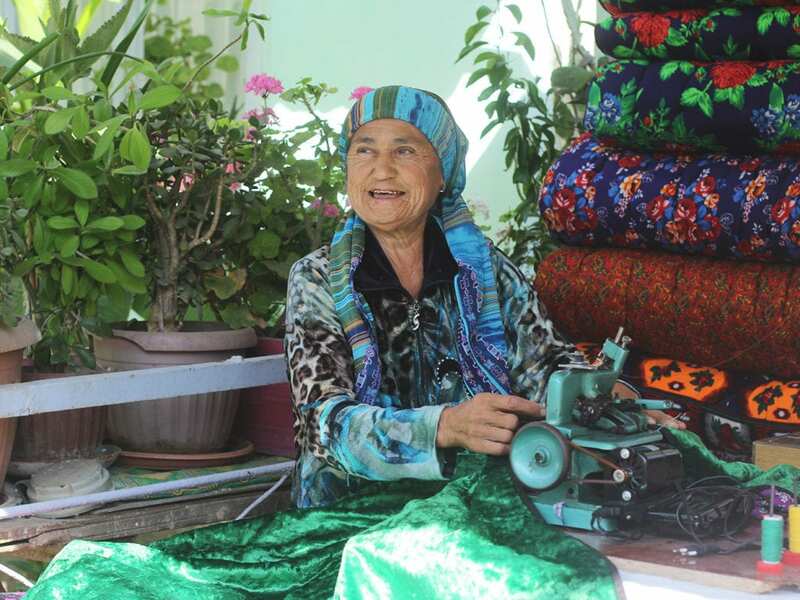 To adapt to the needs of a growing market, in 2011 FINCA Tajikistan expanded its offering to include SME loans, individual loans, money transfers and savings products. The institution now features a loan portfolio of more than USD 14.6 million and an average loan size of USD 588. FINCA Tajikistan currently provides responsible finance to more than 30,000 clients through a network of 32 branches and sub-branches located throughout the country and via expanding digital channels. 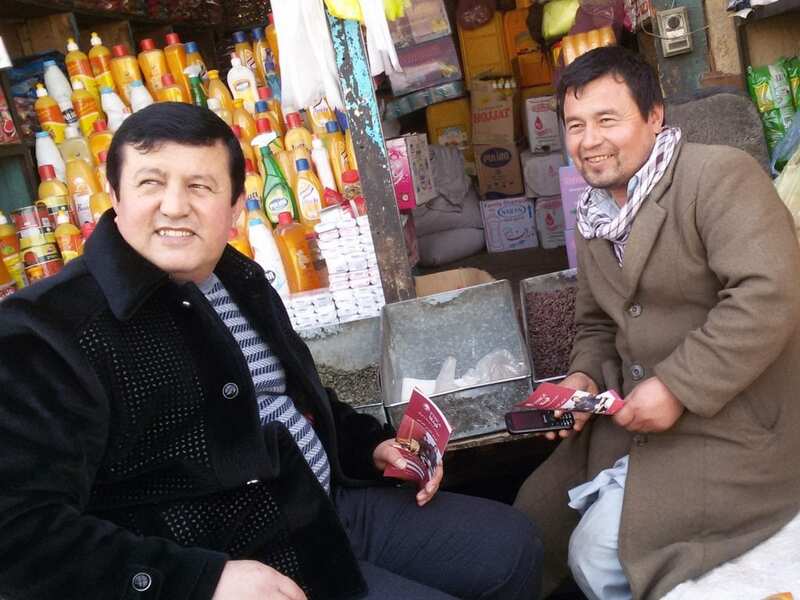 FINCA Tajikistan uses its diverse delivery channels to expand financial inclusion to individuals, families and communities that need it most. More than two-thirds of FINCA Tajikistan clients live in rural areas.The institution employs Digital Field Automation (DFA), a tablet-based tool that allows client relationship officers to visit clients and process loan applications in the field. FINCA Tajikistan has become a leader in the microfinance sector in Tajikistan by fulfilling the FINCA Impact Finance purpose of being an unconventional, community-based financial institution that profitably and responsibly provides innovative and impactful financial services to enable low-income individuals and communities to invest in their futures. FINCA Uganda launched in 1992 to support small business development through the village banking model. Primarily serving rural communities, clients were able to obtain credit to expand their businesses through membership in a credit group. Adapting to the needs of a growing market, FINCA Uganda has continued to expand and improve its offering. It became licensed to take deposits in 2004, the first microfinance organization in Uganda to do so. Also in 2004, the organization launched individual lending and by 2018 individual borrowers accounted for nearly half of its total loan portfolio. FINCA Uganda now has a loan portfolio of roughly USD 27 million and total deposits of more than USD 20 million. It offers a wide range of products and services. Clients can choose from loan products including village banking, business, agriculture, solar and education loans. The institution also offers savings products for businesses and individuals that allow depositors to earn high interest rates. Moreover, FINCA Uganda clients benefit from money transfer services and 24/7 access to funds via the FINCA Access card, which is accepted at more than 500 ATM locations around the country. FINCA Uganda now serves nearly 100,000 clients from a network of 27 branches located in various regions and from branchless channels including mobile banking and ATM machines. The institution’s vast geographic reach means clients can conduct their banking without having to travel long distances. In 2016 FINCA Uganda further digitized its operations by launching credit scoring, a method of analyzing loan applications that enables faster loan processing times and more efficient outcomes for clients. Throughout 25 years of operations, FINCA Uganda has fulfilled the FINCA Impact Finance purpose of profitably and responsibly providing innovative and impactful financial services to enable low-income individuals and communities to invest in their futures. FINCA first opened its doors in Zambia in 2001. Since launching a single office offering village banking loans in Lusaka, FINCA Zambia has grown into a full-fledged microfinance institution (MFI) serving more than 17,000 clients with financial services including credit, savings, payments and money transfers. FINCA Zambia is composed of 14 branches spanning Lusaka and the Central, Southern, Eastern and Copperbelt provinces. FINCA Zambia is committed to expanding access to responsible financial services for micro-, medium- and small-scale entrepreneurs. Our products are tailored to the needs and aspirations of our customers, following from our customer-centric approach to product and service development. In addition to traditional banking services, financial education is key to our product and service offering. In 2012, the Bank of Zambia issued FINCA Zambia a license to take deposits. This milestone allowed us to extend our reach and become a one-stop banking solution. Our clients can now manage savings, credit, payments and remittances all in one place. In 2015, we became the first MFI in Zambia to venture into agent banking when we launched “FINCA Express”, our third-party agent-banking model. Today, FINCA Zambia offers agent banking from 70 locations across the country. We now process more than 70% of our client transactions via FINCA Express. Our banking agents use biometric identification at the point-of-sale, another first in Zambia that makes banking both more convenient and more secure. This innovation allows customers to bank closer to their businesses and homes—eliminating the need to travel long distances to visit a brick-and-mortar bank branch. FINCA Zambia is focused on digital innovation, strategic partnerships and trust-based customer relationships as the key pillars of our future success. 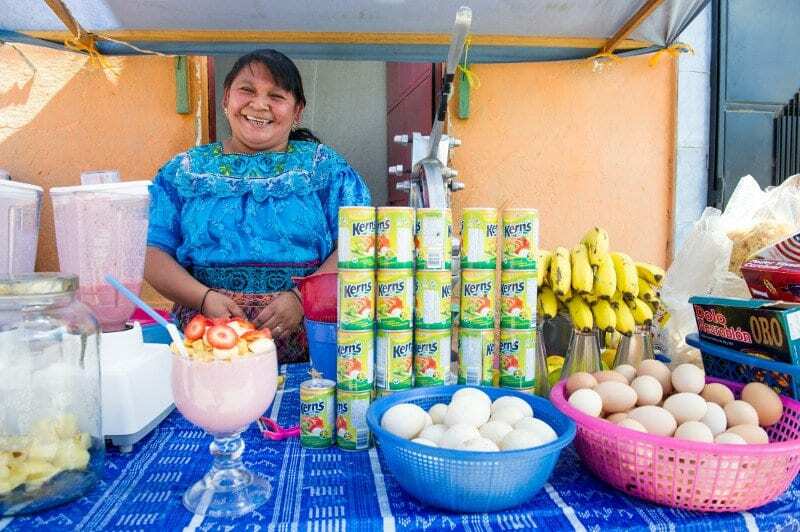 FINCA Impact Finance’s network of 20 community-based microfinance institutions and banks offer innovative, responsible and impactful financial services to increasingly large numbers of low-income clients.